Porsche is introducing the third generation of the Cayenne. This successful model from the Stuttgart-based sports car manufacturer is launching as a completely new development and will combine even more of the typical Porsche performance with excellent everyday practicality. Its powerful turbo engines, new eight-speed Tiptronic S gearbox, new chassis systems and innovative display and control concept with total connectivity will take both sport and comfort to the next level. At market launch, there are two newly developed six-cylinder engines to choose from: The Cayenne’s 250-kW (340 hp), three-litre turbo engine delivers 29 kW (40 hp) more than the previous model. The 2.9-litre V6 biturbo engine in the Cayenne S, which reaches speeds of up to 265 km/h, brings it up to 324 kW (440 hp) – an increase of 15 kW (20 hp). Equipped with the optional Sport Chrono Package, the new Cayenne S accelerates from zero to 100 km/h in less than five seconds. The Cayenne is based heavily on the iconic 911 sports car: The third edition of the SUV, which has also been enhanced visually, now has mixed tyres and rear-axle steer-ing for the first time. In addition to these typical sports car features, the on-road capa-bilities are further improved by active all-wheel drive as standard, Porsche 4D Chassis Control, three-chamber air suspension and the Porsche Dynamic Chassis Control (PDCC) electronic roll stabilisation system. Despite its significantly extended standard equipment, the Cayenne weighs up to 65 kilograms less than its predecessor and re-mains perfectly suited to off-road use. Sporty and precise with a clear design – new and yet familiar: The appearance of the Cayenne has been enhanced in the style that runs through the Porsche Design DNA. The enlarged air intakes at the front are clear indicators of the increased performance. The new horizontal light edges mean that the SUV now appears wider and more ath-letic, even when stationary. With an exterior length increased by 63 millimetres without any change to the wheelbase (2,895 millimetres) and a roof height reduced by nine millimetres compared with its predecessor, the elegant, streamlined impression of the Cayenne, which is 4,918 millimetres long and 1,983 millimetres wide (excluding mir-rors), has been noticeably enhanced. The luggage compartment volume is now 770 litres – an increase of 100 litres. The wheels are one inch larger in diameter, with larger wheels and tyres on the rear axle for the first time, emphasising the enhanced driving dynamics. The distinctive, three-dimensional Porsche logo spans the redesigned rear lights with three-dimensional light design and end-to-end narrow strip of LEDs. Porsche is offering a new three-stage lighting concept for the headlights: Every Cay-enne is fitted with LED headlights as standard. In the next upgrade, the Porsche Dy-namic Light System (PDLS) can be selected as an option, offering a variety of light modes such as cornering light and motorway light. The new LED main headlights with matrix beam including PDLS Plus are the best system available. Fully variable light distribution and intensity are enabled by 84 individually activated light-emitting diodes. This means that the Cayenne can offer new functions such as high beam that does not glare opposing traffic, as well as adaptive sign glare control. The new Porsche SUV is launching in two variants: The Cayenne with a six-cylinder turbo engine and displacement of three litres delivers 250 kW (340 hp), developing a torque of 450 Nm. That means that even the standard model achieves outstanding driving performance: It accelerates from zero to 100 km/h in 6.2 seconds (5.9 seconds with the Sport Chrono Package). The maximum speed is 245 km/h. The second model to launch is the Cayenne S. It is driven by a 2.9-litre V6 engine with twin turbocharging. This engine, which has also been newly developed, delivers 324 kW (440 hp), achiev-ing a torque of 550 Nm – 15 kW (20 hp) more than its predecessor. Accordingly, the vehicle accelerates from zero to 100 km/h in just 5.2 seconds (with Sport Chrono Pack-age: 4.9 seconds). The maximum speed is 265 km/h. Faster on the road, even more impressive on rough terrain: Tiptronic S and PTM. The Cayenne’s expanded performance range, improving both sportiness and comfort, is due in no small part to the new eight-speed Tiptronic S gearbox. Shorter response times and sportier ratios in the lower gears enhance both on-road performance and off-road capability. At the other end of the expanded spread between comfort and sportiness, the long-transmission eighth gear ensures low torques, optimised fuel con-sumption and relaxed driving. Even on rough terrain, the Cayenne provides straightforward driving pleasure. Pro-grammed off-road modes make it easy for the driver to select the right setup for their drive. The default setting is the Onroad programme. Four other modes activate the conditioning for mild off-road terrain: Mud, Gravel, Sand or Rocks. The drive, chassis and differential locks can be selected to adapt to the relevant scenario. For power dis-tribution, Porsche utilises the active all-wheel drive in all Cayenne models. The intelli-gent, fully variable Porsche Traction Management (PTM) distributes the driving force between the drive axles. Its hang-on concept is a key principle for the excellent sporting performance of the Cayenne. At the same time, it fulfils all requirements for extensive traction on rough terrain. The new Cayenne combines three chassis concepts in one new design: sports car, off-roader and touring car. This involved developing a new lightweight chassis base with a front axle featuring a separated link design and a multi-link rear axle. A typical sports car feature is the new mixed tyres, which are now on wheels of at least 19 inches. The mixed tyres improve stability and driving dynamics on bends. Porsche of-fers wheel sizes up to 21 inches as an option for the Cayenne. This format provides the optimal basis for the active chassis systems, which are ana-lysed and synchronised by the integrated Porsche 4D Chassis Control system. The system works in real time, optimising handling even further. With the exception of the active PASM damper system (as standard with the Cayenne S), all other chassis sys-tems are new developments. For the first time, the Cayenne is available with electric rear-axle steering. The system, tried and tested both in the 911 and the Panamera, improves agility on bends and stability when changing lanes at high speeds. The re-duced turning circle also makes everyday handling of the SUV easier. The optional adaptive air suspension with new three-chamber technology significantly increases the spread between a sporty, firm connection and the driving comfort ex-pected of a touring car. Just as before, the system enables adjustments to the ground clearance on rough terrain. With the optional Porsche Dynamic Chassis Control (PDCC) roll stabilisation, sporty drivers benefit by changing from a hydraulic to an elec-tric system. This switch is made possible by a powerful 48-volt vehicle electrical sys-tem. Shorter response times enable even more precision in the driving dynamics – and even more comfort on moderate drives. With the innovative Porsche Surface Coated Brake (PSCB), the sports car manufac-turer is once again assuming a pioneering role in the development of high-performance brakes. This world first is available as an option for all Cayenne models and consists of a cast-iron disc with a tungsten-carbide coating. This finish increases the friction values and wear and brake dust are reduced. The brake, exclusive to Porsche, is also visually impressive: The brake callipers are painted white, while the surface of the discs develops a unique gloss level after bedding-in. The PSCB is only available in combi-nation with the 21-inch wheels. The PCCB ceramic brakes remain the top system in the range. The new Cayenne offers even more potential when it comes to sporty performance. 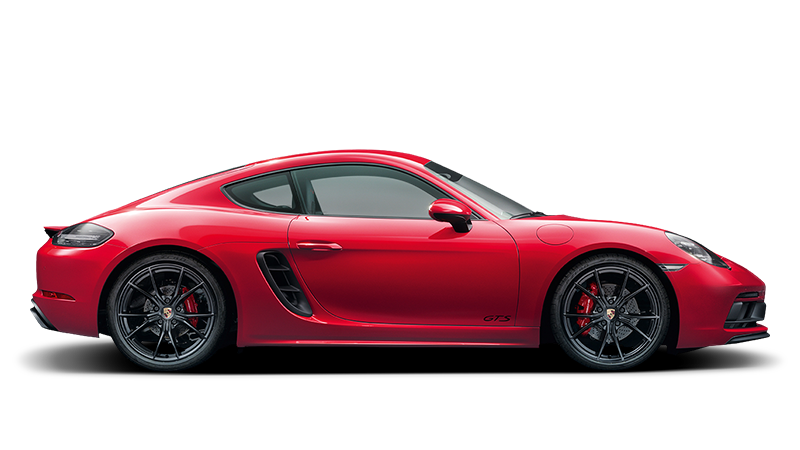 Porsche has redeveloped the Sport Chrono Package based on the model of the sports car. The Mode button on the steering wheel is one clear indicator of this approach. As well as the Normal, Sport and Sport Plus driving modes, the driver can select an indi-vidually configurable mode. Pressing the Sport Response button in the centre activates the engine and transmission maps, which are calibrated for maximum performance. The Sport Chrono Package also includes a separate PSM Sport mode, in which the driver can utilise the new Cayenne’s full driving dynamics. Sports cars need a lightweight construction. Following the 911 and the Panamera, the new body of the Cayenne also uses an intelligent combination of alloy and steel. The exterior is made entirely of aluminium. The floorpan assembly, front section and virtu-ally all the chassis components are also manufactured from alloy. One particular tech-nical highlight is the innovative lithium-ion polymer starter battery, which alone ac-counts for a weight saving of 10 kg over the predecessor model. In total, the weight of the Cayenne when empty has been reduced from 2,040 to 1,985 kilograms – even in spite of the significantly extended standard equipment, which now includes LED main headlights, larger wheels, ParkAssist (front and rear), an LTE telephone module in-cluding a WiFi hotspot, Porsche Connect services and anticipatory pedestrian protection. With this new generation, the Cayenne is writing a new chapter in the relationship be-tween driver and vehicle: The Porsche Advanced Cockpit is fully integrated into the sporty, luxurious atmosphere. At the heart of the new display and control concept from Porsche is the 12.3-inch full-HD touchscreen from the latest generation of Porsche Communication Management (PCM), launched last year with the new Panamera. A range of digital functions can be operated intuitively – including by voice control. The standard Porsche Connect Plus allows access to online services and the Internet. This includes the standard online navigation with real-time traffic information. The analogue controls on the new centre console are focused on the main functions of the vehicle. Other buttons are harmoniously integrated into the smartphone-like, glass-look touch surface, giving acoustic and haptic feedback when operated. In typical Porsche style, the driver has a central analogue tachometer to view. This is flanked by two 7-inch full-HD displays, which display all other relevant driving data plus additional information selected using the multi-function steering wheel. Night Vision Assist with a thermal imaging camera is one of the most important assistance systems, along with Lane Change Assist, Lane Keeping Assist including traffic sign recognition, traffic jam assist, ParkAssist including Surround View and Porsche InnoDrive including adaptive cruise control. At the same time, the new PCM brings the next level of customisation. It is not only the start screen and main menu that can be adjusted to the driver’s needs. Up to six indi-vidual profiles can also be configured. As well as a large number of interior settings, a profile is used to store specifications for lights, driving programmes and assistance systems. Depending on the equipment, the driver can also apply their own settings to the new sound systems from Bose® and Burmester®. Plus, the new Cayenne is al-ways online if the driver needs it to be – the expanded Connect Plus services are available through the integrated LTE-enabled SIM card. The engine-independent heat-ing, for example, can be programmed remotely via smartphone. In addition, the Offroad Precision App, specially developed for the Porsche Cayenne, is now also available as part of the new standard package. It allows rough-terrain drives to be documented in detail, helping the driver to improve their own skills using video recordings. The third generation of the Porsche Cayenne is available to order now. The Cayenne is available in from EUR 75,240. Prices for the Cayenne S begin at EUR 92,520 and for the Cayenne Turbo at EUR 139,800 – each including VAT and country-specific features.